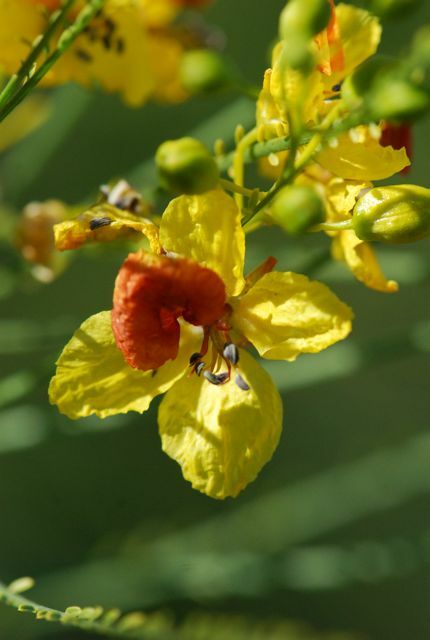 Our mystery seeds from last week were from a blue palo verde, Parkinsonia florida (previously Cercidium floridum). 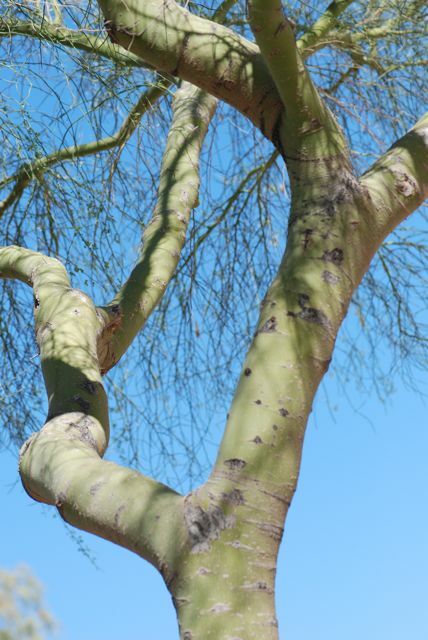 The blue palo verde is unique to the Southwest and is the Arizona State Tree. 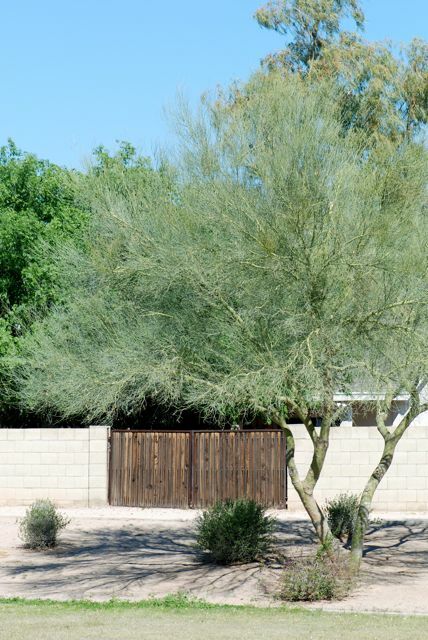 Palo verdes are small trees named for their green trunk and branches. Why green? 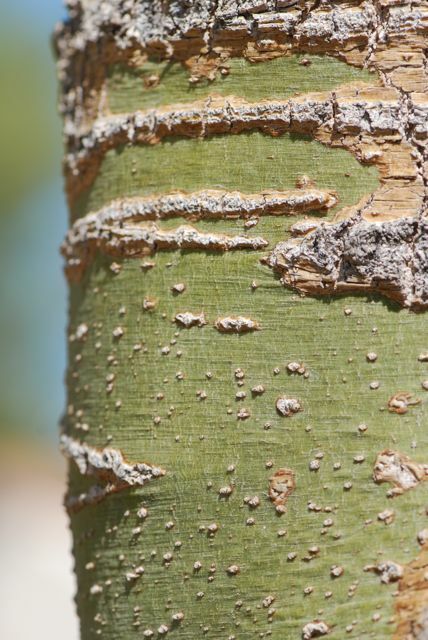 The top layer of the trunk and branches contains chlorophyll, which allow the tree to continue to make food via photosynthesis even if it doesn't have leaves. Blue palo verdes do have leaves at certain times of the year, but they tend to be small and fall off when the plant is under water stress. 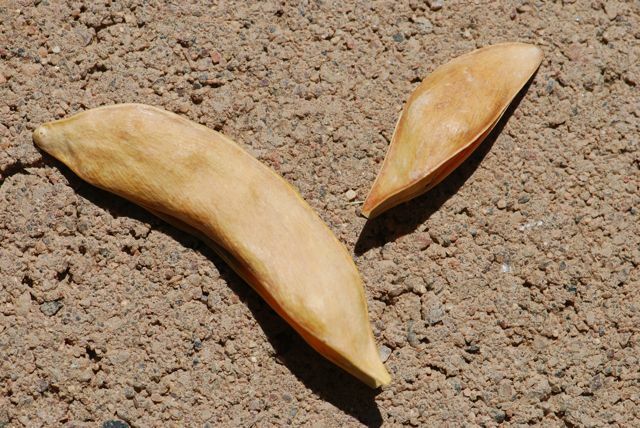 ...which produce these seed pods full of seeds. 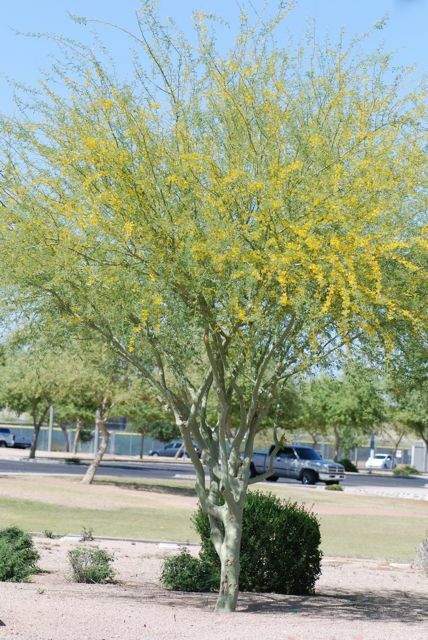 In addition to the blue palo verde, several other species of palo verdes grow in Arizona, including the foothills palo verde, Parkinsonia microphylla and the Mexican palo verde, Parkinsonia aculeata. 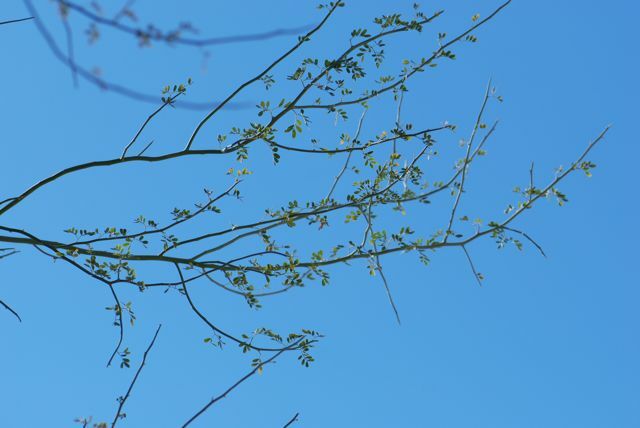 The flowers of the Mexican palo verde are unusual because the top petal changes color with age, until it is a deep reddish orange. 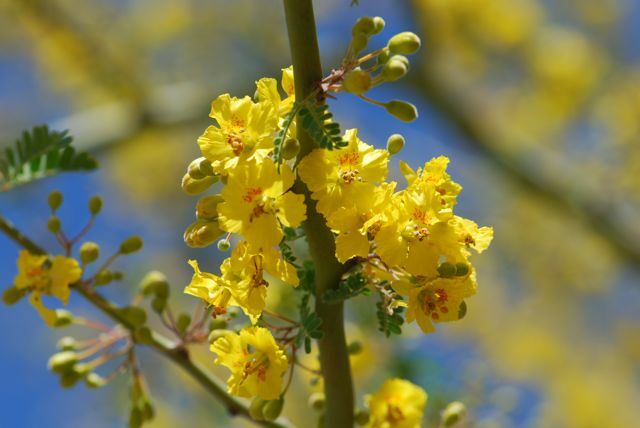 Firefly Forest has more photographs and facts about Mexican palo verdes, blue palo verdes, and foothills palo verde. 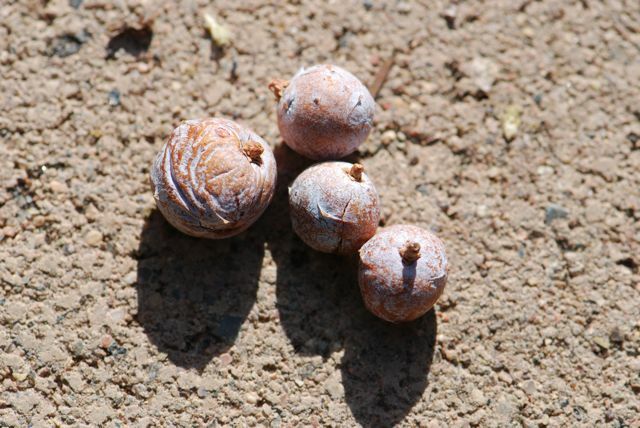 Our mystery "seeds" showcased last week were from an alligator juniper, Juniperus deppeana. 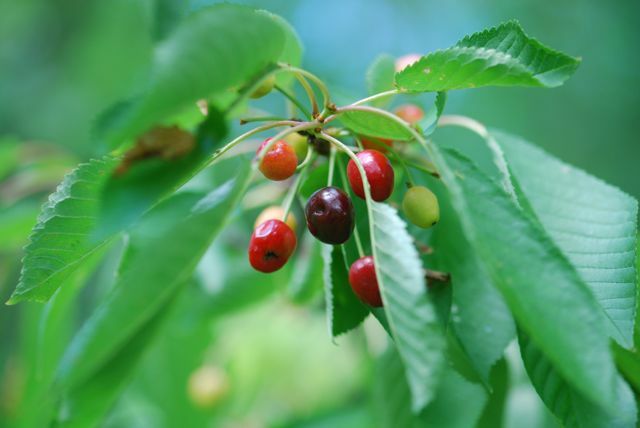 Technically these are not the seeds, but berry-like cones that contain the seeds. 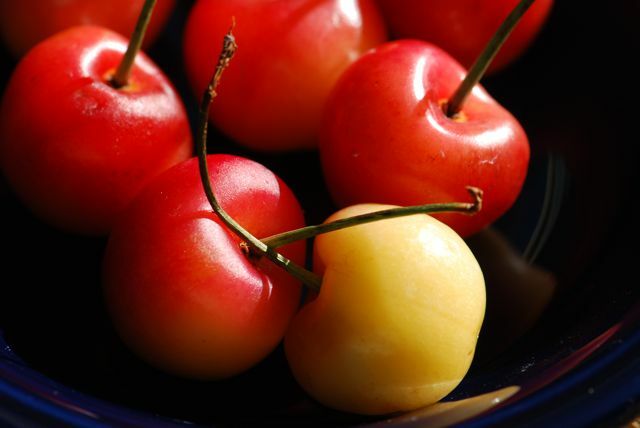 Notice the white, waxy coating which is a common characteristic. 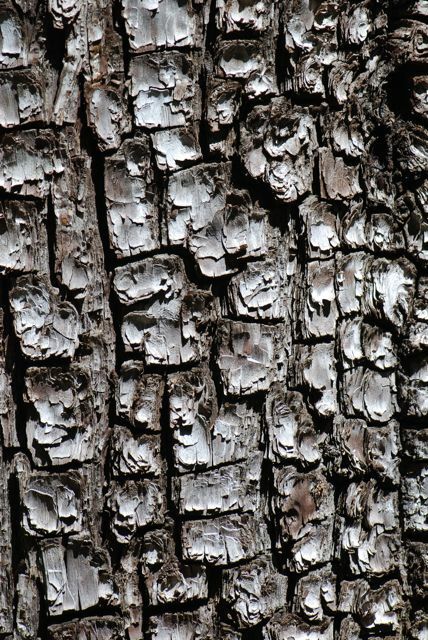 Alligator junipers are named for their distinctive bark. 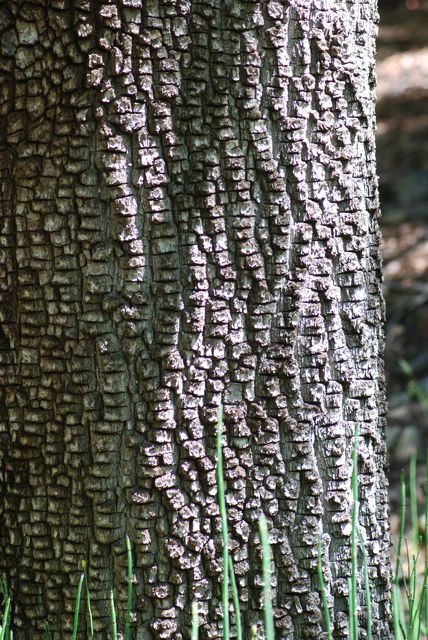 Once you've seen the bark that forms rectangular blocks, it is pretty easy to identify again. People say it looks like alligator skin. Here's another example. 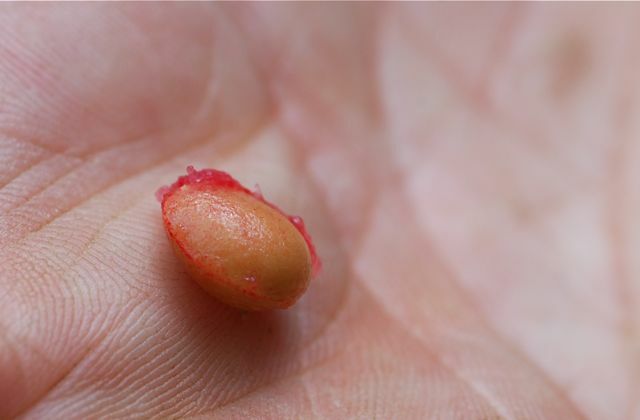 There are different subspecies throughout the range that have variations in growing shape and cone size. 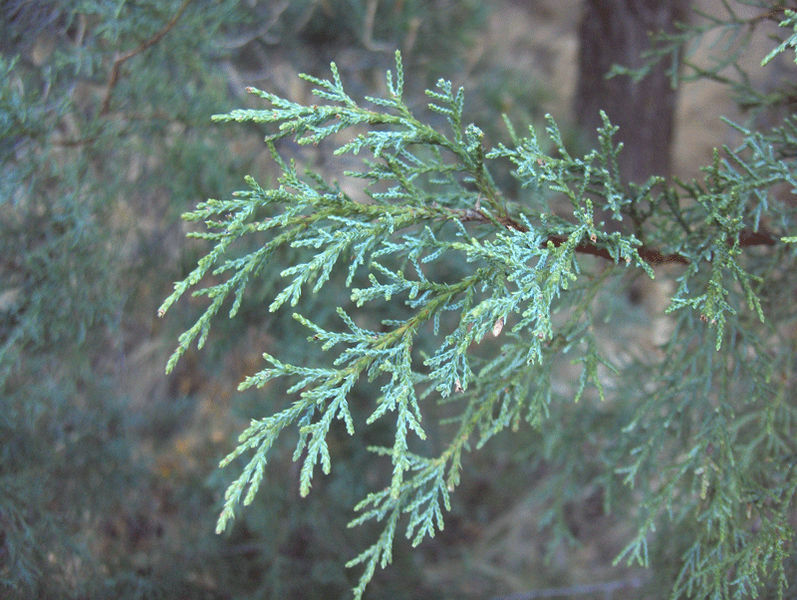 It has the typical scale-like leaves of a juniper (Photograph from Wikimedia). 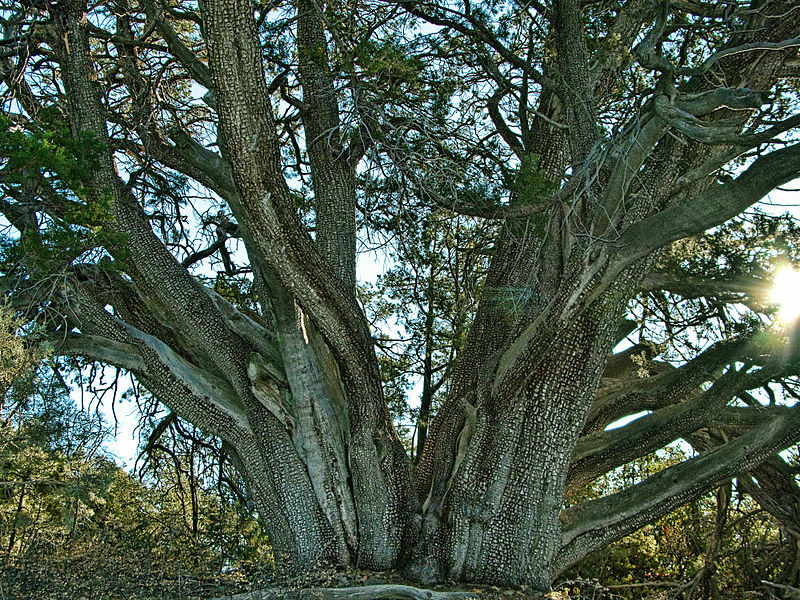 Alligator junipers are generally small, but in this photograph by Tom Check (from Wikimedia) you can see that older alligator junipers can be magnificent trees. Have you ever seen an alligator juniper? Where did you see it?